Find out which two workshops will feature at the Conference. SFHA is delighted to announce the workshop pitch winners for next month’s Property Repairs and Asset Management Conference! SFHA would like to thank everyone who put forward a pitch and everyone who voted. The full results are available on the SFHA website. Attend the exhibition - the networking hub of the conference with over 30 stands! There’s also an extra networking opportunity after sessions. Find out more about digital transformation – what does it really mean and how is it changing what we do? This year we have introduced a brand new format. Delegates can learn, share and network all in one day! This year’s conference comes at a time when fire safety and energy efficiency are major issues for housing associations. With these major themes - plus a range of workshops covering procurement, regulation, gas and electrical safety, renewable heat and energy efficiency, and mobile working - there is something for everyone involved in maintenance and asset management at this conference. Delegates can continue to network even as the conference ends. A buffet and drinks reception after the final session will give delegates and exhibitors an extended networking opportunity. Delegate rates start at £219 for SFHA members, so why not join colleagues from across the country by attending. Take advantage of our offer and book two places to receive a third FREE! 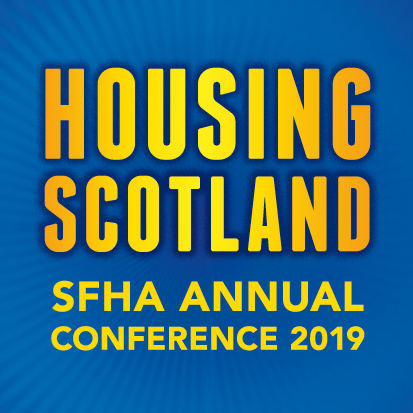 For more information and to book your place, please visit www.sfha.co.uk/whats-on. Book now to avoid disappointment!